All of us need financial security to meet our day to day needs. For that, we opt for savings, investments, various types of insurances or property etc. These instruments help us when we don’t have any source of income like after retirement or when there is any sudden need like in case of any unfortunate illness, child’s education or buying house or vehicle for us or anything like that. Insurances constitute an important part of these tools. What is even more important is that we usually do not differentiate between Insurance and Investment. We may do have Insurance policies but they are more of an investment and fail to serve its purpose of being an Insurance if and when need arises. Here we talk of different types of Insurances which you might have, to keep yourself worry free in situations of sudden expenses. We need to be aware of the difference between the simple insurance policies which most of us usually do have and Term Life Insurance. Term Plan is an insurance plan where the nominees of the policy holder get the entire sum assured in unfortunate demise of the policy holder. If the policy holder survives during policy cover, the premiums paid to purchase the policy are not refunded. In simple insurances, you get the entire amount and also interest at the maturity of the policy which you put into buying the policy. Now it looks like policy is better than a Term Plan. But the catch in Term Plan is the insurance cover. While you get very small insurance cover in simple policies, the coverage is substantial in Term Plan. The purpose of getting insured is to secure the family in case of death of policyholder. These small covers may not be sufficient for the family to survive after the source of regular income is not there. Usually you should have as much sum assured as you would have earned in your period of employment so as to give financial security to your family. A person earning ₹ 50,000 per month needs to have have at least an insurance cover of at least ₹ 2,00,00,000 if he/she plans to retire after working for 25 years because this is the rough estimate of the amount he/she would have earned while employed. If you have a cover of ₹ 2 crore, the nominee gets the entire amount in case of death which should be sufficient to address their needs. You can get these Term Plans for a premium of ₹ 10,000-20,000 depending upon the insurers. Simple policies although return you back your money at maturity or before but that may not be sufficient to cover the expenses. Health Insurance or medical Insurance is another important insurance you need to have in your kitty to keep you covered from illness expenses. When we buy a new car, our first aim is to get it insured as early as possible to cover the risk of its being damaged in the event of any accident. But when it comes to our selves or our health, we behave carelessly. The rate at which the health services are getting costlier, it may disturb anybody’s budget when faced. As an employee, you may be getting some insurance from your employer too but that may not be sufficient when needed. Moreover, the possibility of getting delays in payments from your employer are also there. It is always wise to have a Health Insurance cover. It covers your OPD expenses, Investigation charges and also Hospitalization Charges. Some insurance companies also pay for the work hours you lost while you were sick. You may get paid for 10 or 15 days on daily basis which is another plus point. Premiums paid for Health Insurance are also Income Tax deductibles under Section 80D above the limit of ₹ 1,00,000, a tax relief. There are certain critical medical conditions which are not covered under health insurance like AIDS, cancers or other chronic conditions which require prolonged treatment. You can avail critical illness insurance by paying additional premium payments. Accidents and Disability resulting from the accidents also take a heavy toll. Treatment can be too expensive. Moreover, resulting Disability may also make you unable to work leading to loss of employment and regular income. It may become horrible to run your expenses in such a situation. It is better to have a Disability Cover to meet your expenses and avoiding the agony of being dependent on others. Disability covers give you cash in lump sum or in regular installments depending upon conditions of the insurer. Having one’s own house is every one’s dream. We spend almost our all savings to built a house. Having our own house gives us security. But, is it sufficient to just have a house? Accidents may happen anywhere and anytime. Your house also faces the same risk. It can in the form natural calamities like earthquakes, tsunamis, fire, rains or burglary or theft. You can get your house insured easily because the premiums are not too much for Home Insurance. You can also insure your belongings, expensive goods or jewelery etc. by paying additional payments. You should take the property insurance taking into consideration all the expenses needed to rebuilt it if any disaster strike in unfortunate circumstances. If you own a car or any other vehicle, it is always good to have Motor Vehicle Insurance cover. You never know when your vehicle breaks down in an accident. Getting your vehicle repaired may be very costly depending upon the nature of damage. Moreover, Insurance Companies also pay you if your vehicle gets stolen. Some companies also provide expenses of repairing if your vehicle gets damaged in riots or other natural calamity. These are the very important Insurances which one needs to have to keep so as to have a sigh of relief as far as the sudden expenses are concerned. If i have left any other or you have more in your mind, suggestions are always welcome. 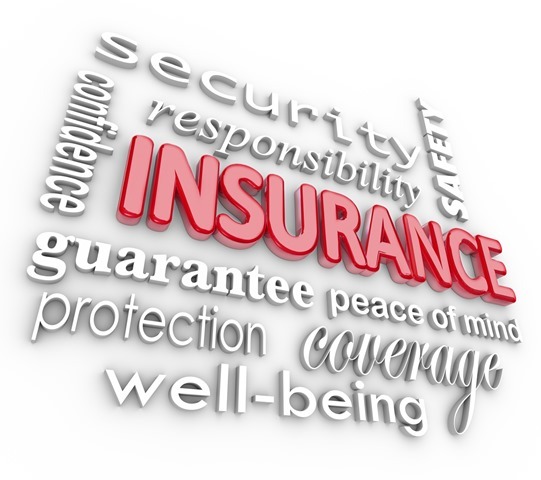 The Importance of having an insurance coverage as individual, business, or group cannot be over emphasized. Getting the best deals means that the one must research for the best insurer. This is necessary because some companies are just out to rip off unsuspecting clients. In addition the above insurance, I think an Internet marketer may need a sort of insurance covering his/her home business! I found this post in kingged.com – the content syndication and social bookmarking website for Internet marketers. Hence, I also left the above comment.